How can I create a float search engine like in thirdparty theme? 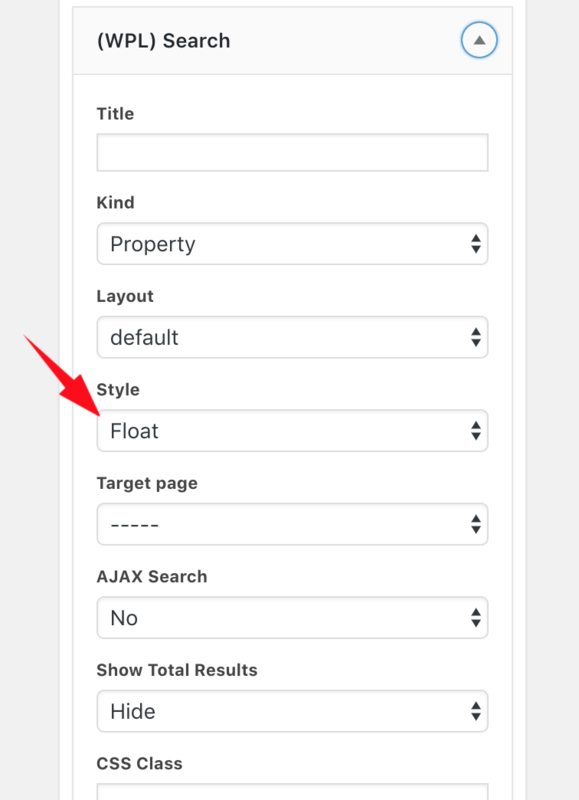 1- Goto WordPress backend > Appearance > Widgets. 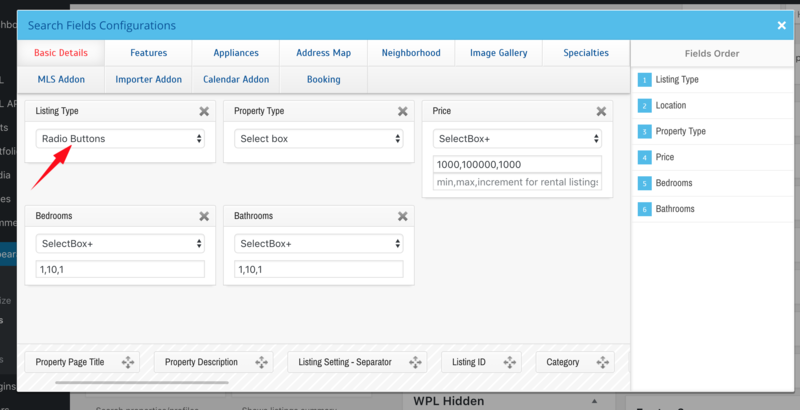 2- Add WPL Search widget to " WPL Hidden" position. 3- Then add fields by drag and drop like below screenshot. Note: For "Listing type" select " Radio button" feature.